In September 2016, an expert symposium at the Van Gogh museum decides that the painter was not mentally ill.
Well, I'm back from the symposium at the Van Gogh Museum in glorious Amsterdam. After two days of intense small group debate and discussion, we determined that Vincent did *not *have a mental illness after all. The 30 invited experts included 13 art historians, who were so familiar with Vincent's 903 letters that they essentially contributed his own voice to the proceedings; six psychiatrists; assorted medical specialists (neurologists, internists), and two psychologists: Kay Jamison, the most prolific proponent of the mad genius myth, and yours truly. As readers of this column know, I'm all about debunking said myth; happily, the field of psychology is turning away from it, as shown in the state-of-the-art textbook, Creativity and Mental Illness (Cambridge University Press, 2014). I'd like to think my own little book had something to do with this; The Insanity Hoax: Exposing the myth of the mad genius has definitely nudged the belief that great creativity and madness are necessarily connected. It was certainly the reason I was invited to Amsterdam. 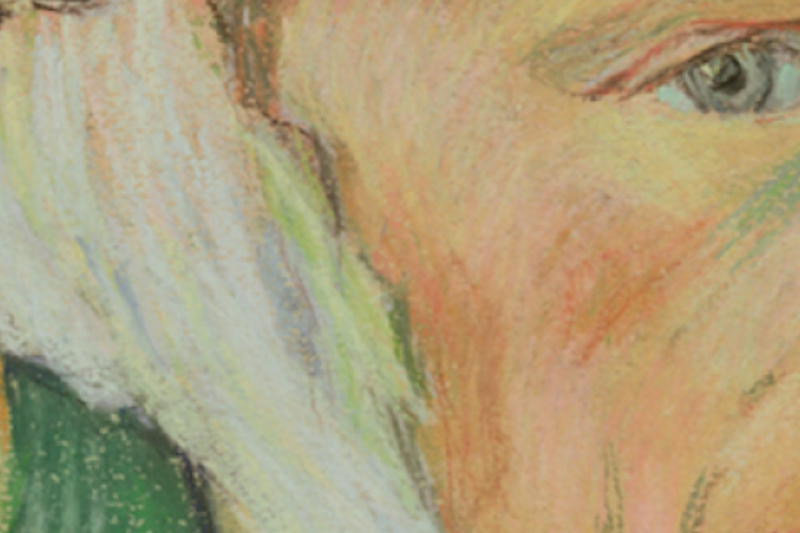 The symposium was called On the Verge of Insanity: Van Gogh and His Illness. Clearly, something was up with Vincent, but for once, the one-size-fits-all-artist-pathology was firmly, collectively, and publicly discarded. Perhaps it was because art historians planned the conference -- unlike many people who write about the "mad" genius, they actually know what a creative life looks like, even at its most extreme, without needing to slap a diagnosis on it. These dedicated professionals were especially familiar with the struggles of Van Gogh, giving him and his work the kind of respectful attention that is usually withheld from the historical genius. For example, it was refreshing that nobody brought up “Starry Night” as “evidence” of his madness. Last year’s “Touched with Fire” movie not only animated the stars in that famous picture, making them pulse and swirl with craziness, but also informed the public that Van Gogh could never have painted this work if he’d been on psychotropic medication for his "disease." This is the same film that told us that “creativity is the beginning of illness.” Fortunately, it went straight to video, despite its connections to Spike Lee and Katie Holmes. But at least in Amsterdam in September of 2016, things were clear and true. The final expert verdict was this: Vincent was fiercely opinionated, stubborn, difficult, socially tone-deaf, impulsive, and self-absorbed. His crushing and constant loneliness, poverty, malnutrition and chronic alcohol abuse contributed to his several brief psychotic episodes, all but the last one followed by a quick and full remission. Even if he ultimately suicided (at 37, after just 10 years of painting), he did not have an ongoing mental illness. And he certainly did not show the symptoms of bipolar disorder. In nearly four decades as a psychologist, Judith Schlesinger has worked in schools, inpatient hospitals, outpatient clinics, university classrooms, and private practice. Common threads: her fascination with the creative mind, and her passion for music and writing. Author of<b>The Insanity Hoax: Exposing the myth of the mad genius</b>(Shrinktunes Media, 2012), Judith wrote a biography of Humphrey Bogart (Metro, 1997) and contributed the psychology chapter to the interdisciplinary <b>Stephen Sondheim: A Casebook</b> (Garland, 2000). 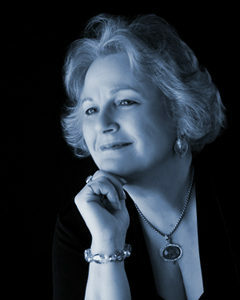 Judith has also written for The American Psychologist, The Counseling Psychologist, The National Psychologist, Ethical Human Psychology and Psychiatry, the British Journal of Psychiatry, and The Psychology of Aesthetics, Creativity, and the Arts. A long-term member of the Association for Psychological Science and the National Association of Science Writers, Judith likes to explore the lines between sizzle and steak. This is evident in her many essays on psychology and education for The Baltimore Sun, her humorist role at Topia, the magazine about art and artists, her ongoing columns and reviews at www.allaboutjazz.com, and pretty much her view of the world in general. A musician herself, Judith has lately been producing acclaimed CDs for jazz, R&B, and Brazilian artists. In her different incarnations she has known great talents who are both productive and content, rather than hobbled by psychological dysfunction as the “mad genius” cliche would have it. Such personal experience, combined with decades of research, clinical discovery, and that steak/sizzle thing, inspired <b>The Insanity Hoax: Exposing the myth of mad genius</b> (2012). It remains the only scholarly book that explains the origin, history, rationale, and psychosocial function of insisting that creative people are particularly vulnerable to “mental illness.” As a result of her work, Judith was invited to contribute to the September 2014 “state of the field” textbook, <b>Creativity and Mental Illness</b> (Cambridge U Press), for which she wrote “Building Connections on Sand: The Cautionary Chapter.” Her views are also getting attention from popular media like USA Today, The Chronicle of Higher Education, The Skeptical Inquirer: The magazine for science and reason, and the Huffington Post (pre-AOL). Finally, after realizing that there’s about as much empirical evidence for the healthy genius as the disturbed one (i.e., virtually none), Judith has begun working on a new book tentatively titled <b>Mad to Glad: A Radical New Look at Genius</b>. It takes up where <b>The Insanity Hoax</b> leaves off, identifies some startling changes in the diagnostic landscape, and provides first-person testimony to further encourage a positive shift in focus from mad to glad - or at least to inject some reality into the pursuit by talking to living, working artists about their creative process and moods.